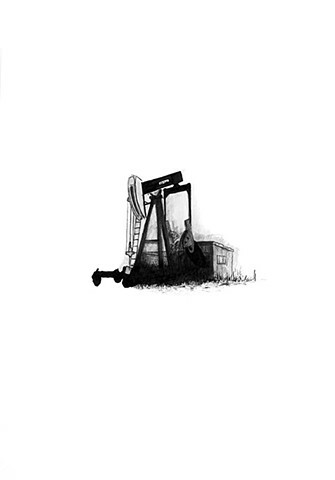 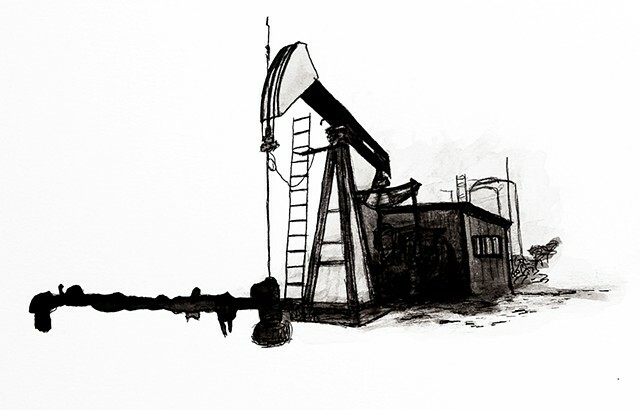 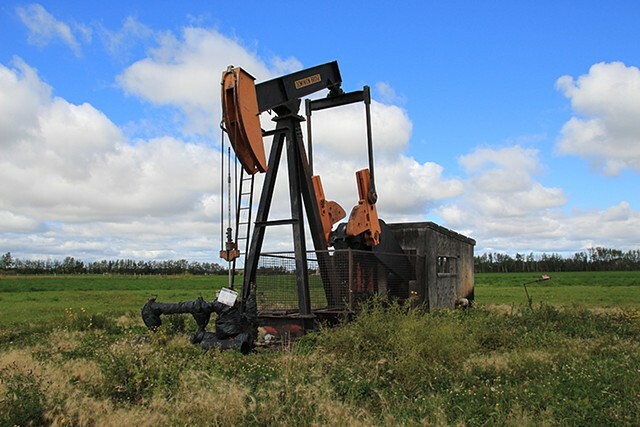 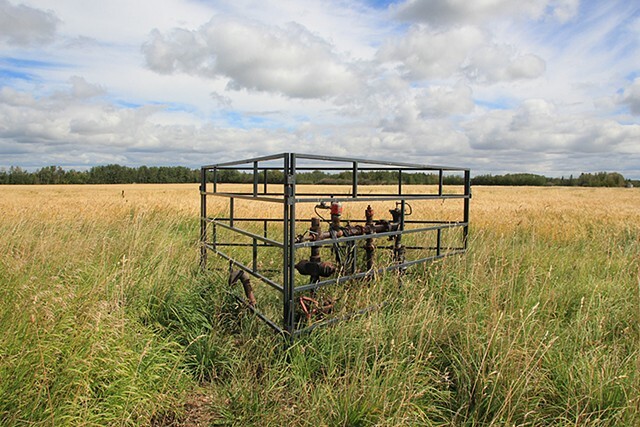 The Orphan Well Adoption Agency (OWAA) is dedicated to finding caretakers for orphan oil and gas wells in Alberta. 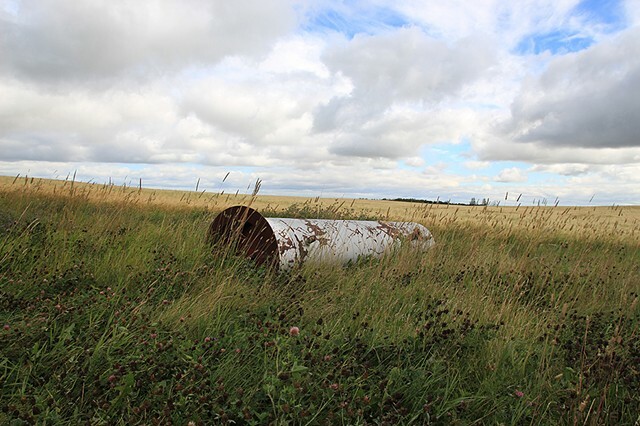 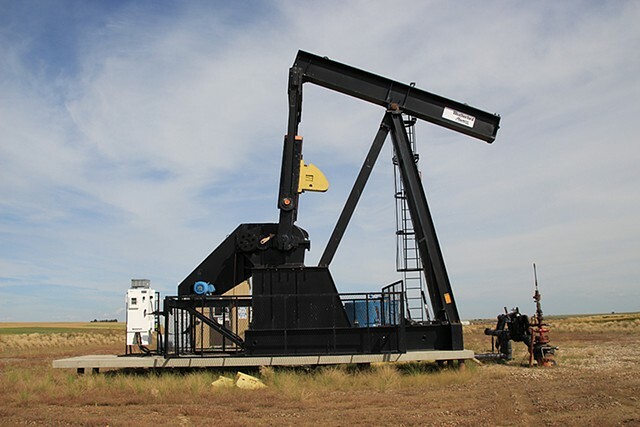 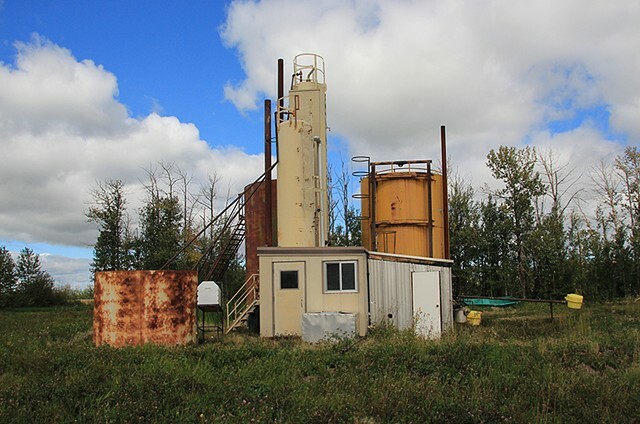 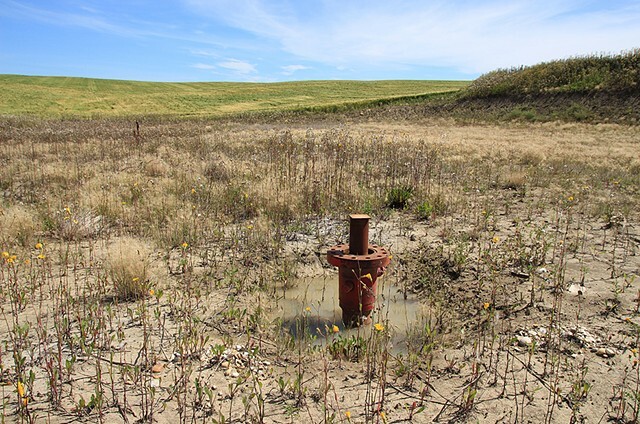 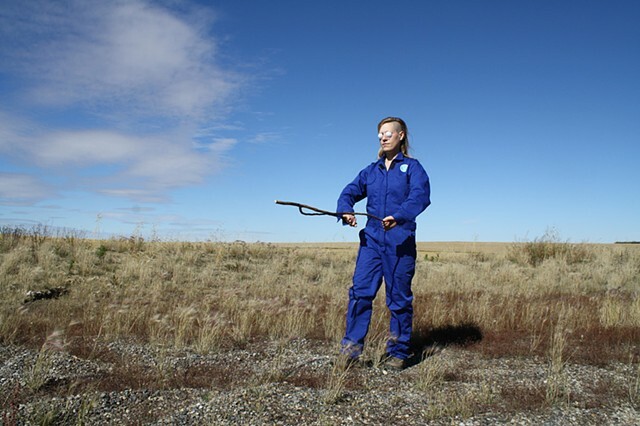 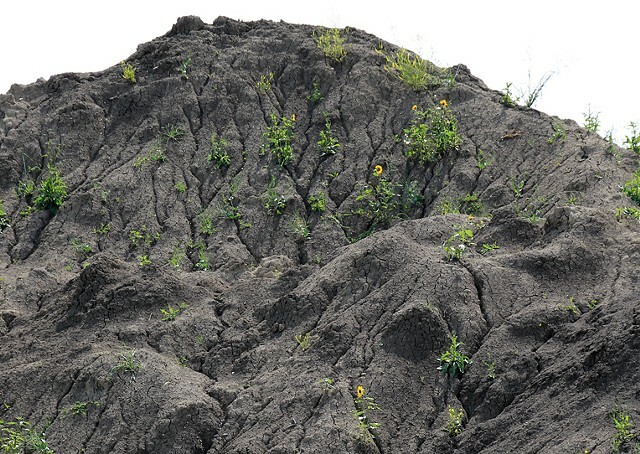 The OWAA is also exploring new methods of remediation; of reading, assessing, and understanding the health of sites contaminated by the oil and gas industry. 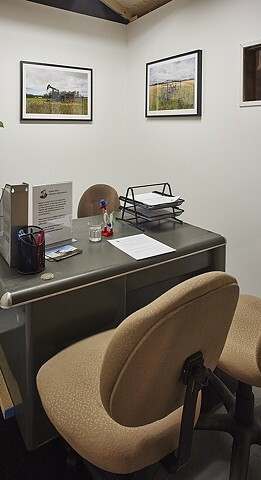 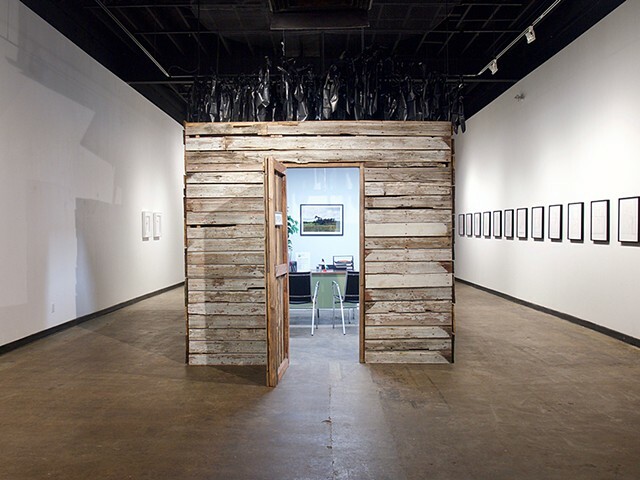 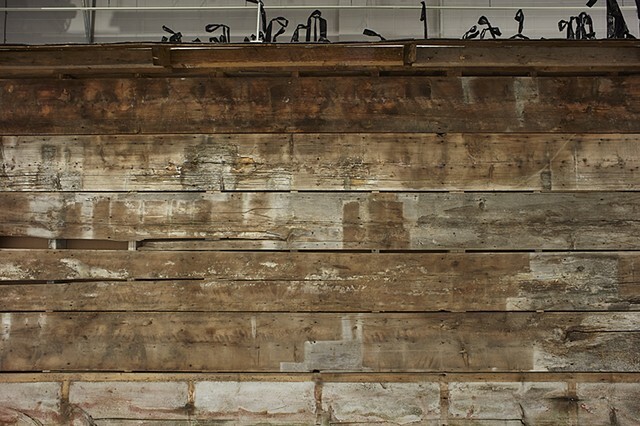 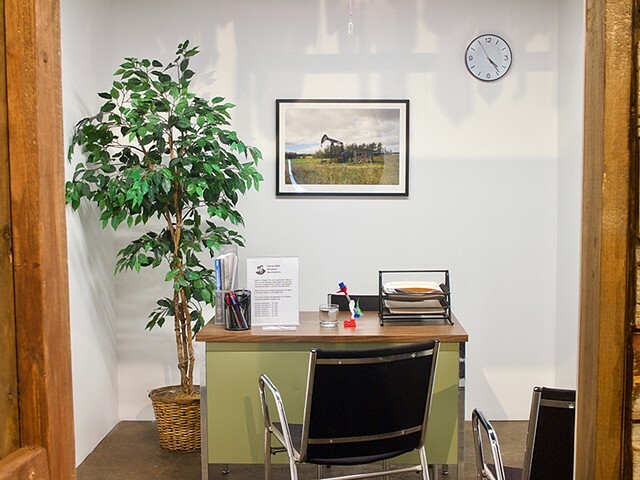 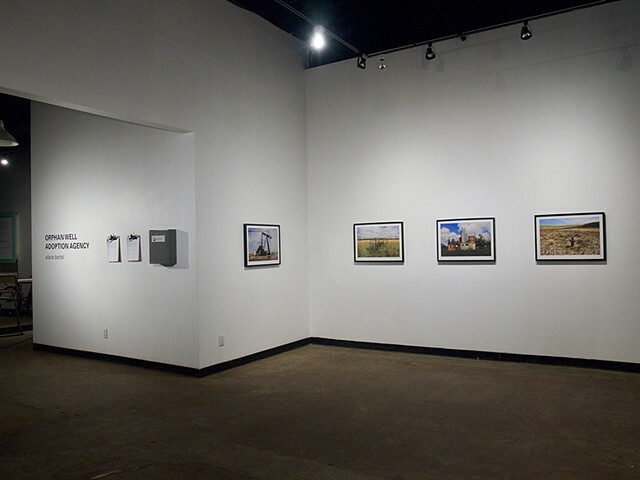 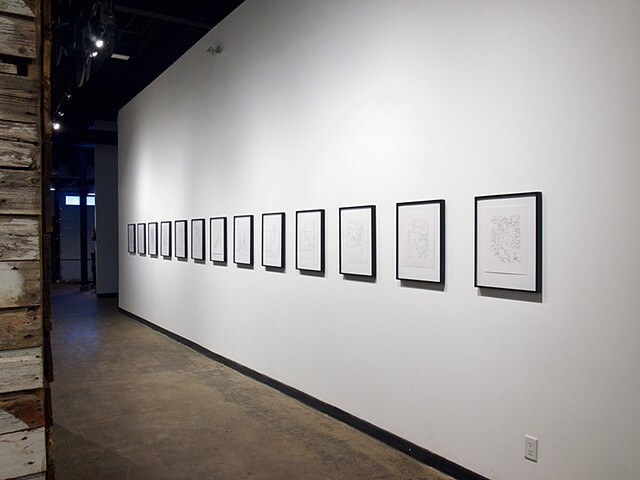 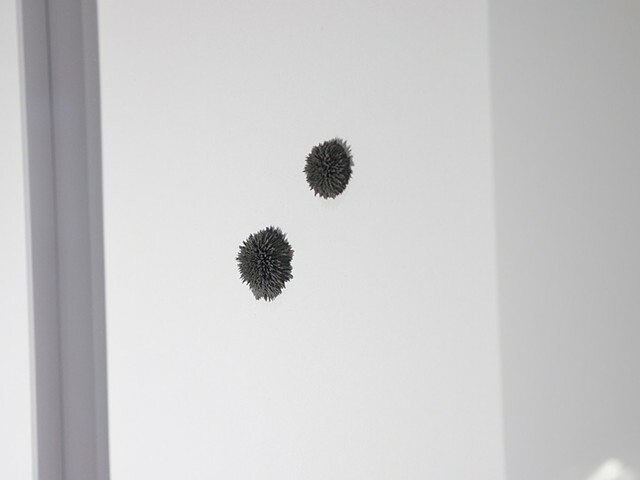 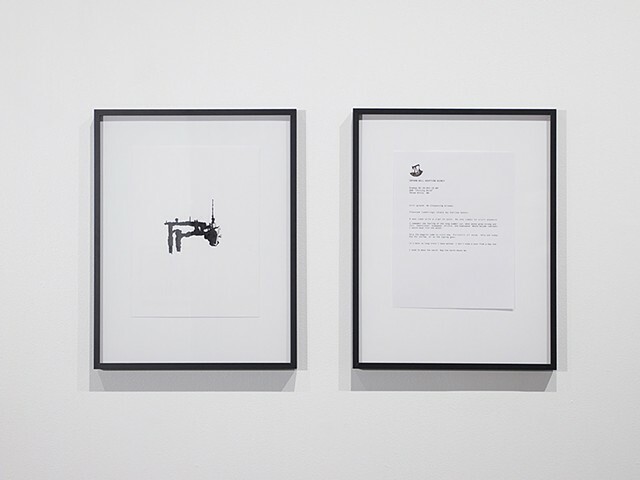 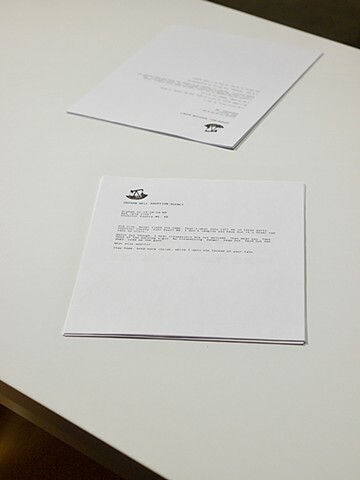 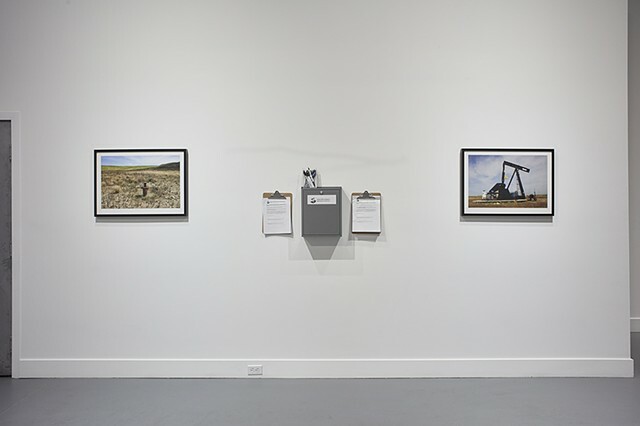 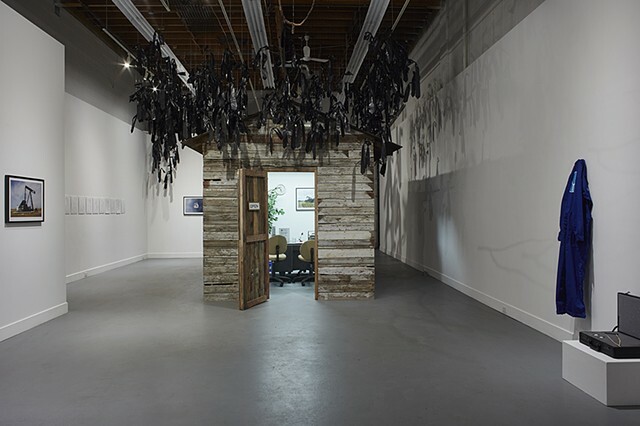 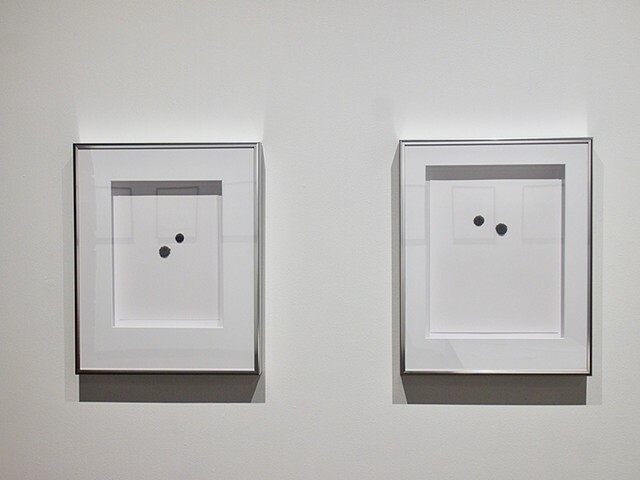 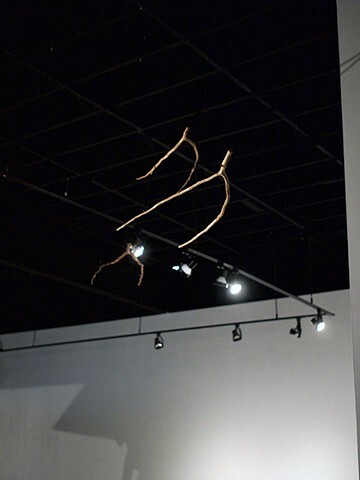 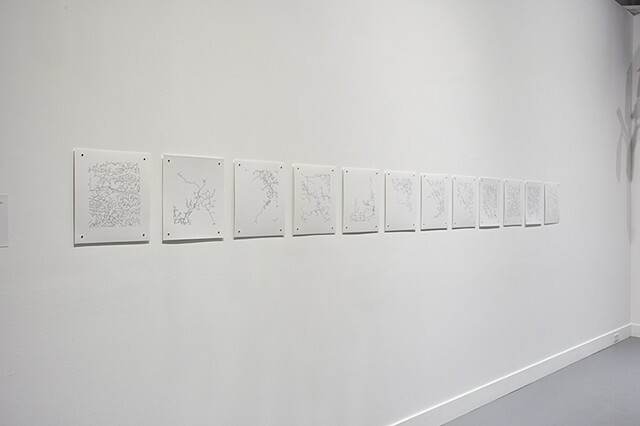 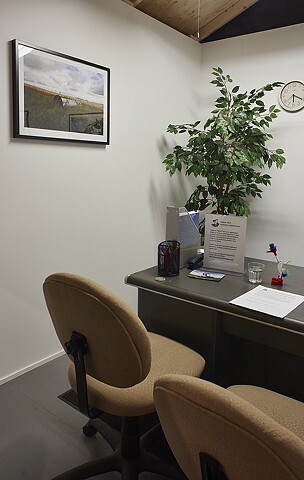 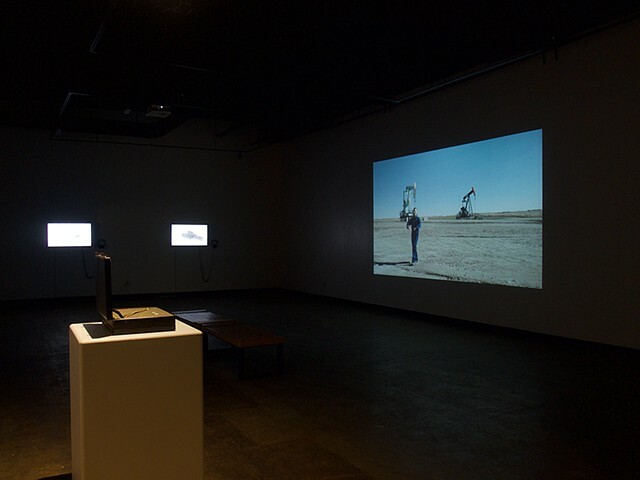 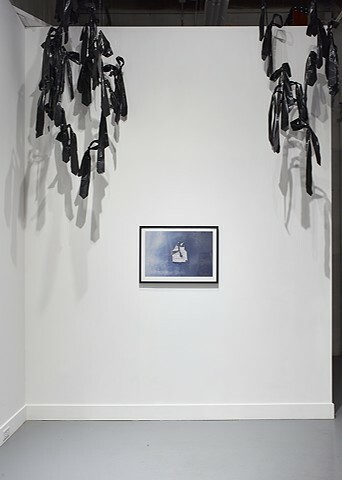 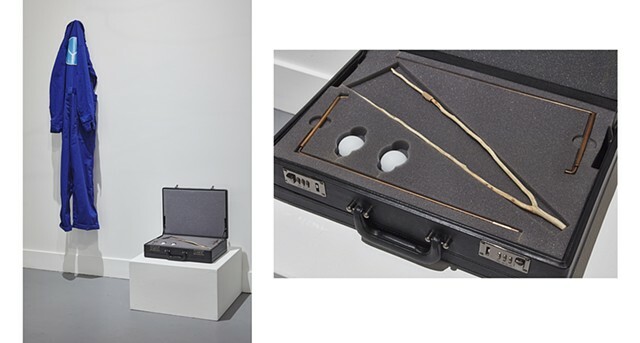 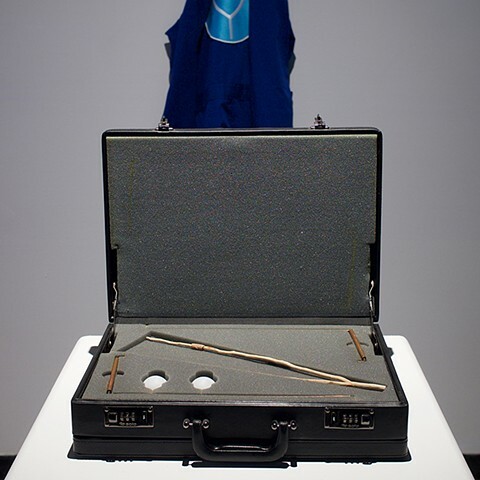 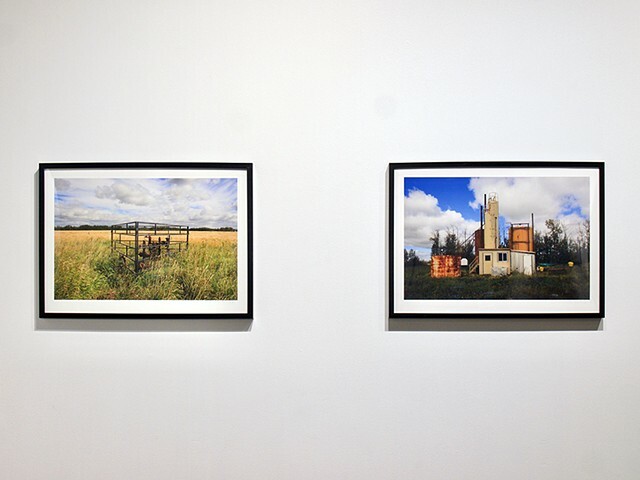 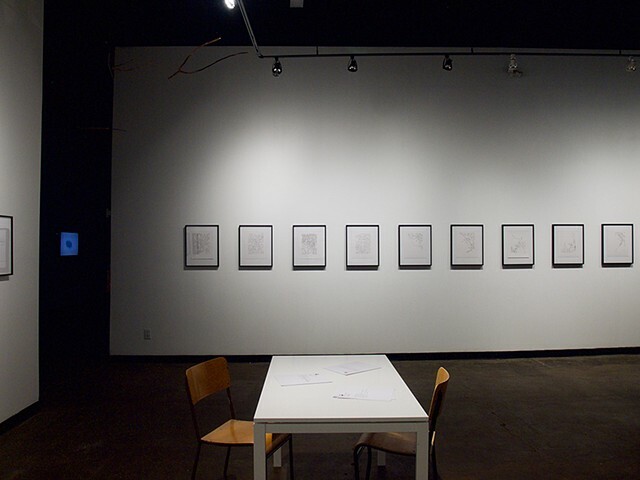 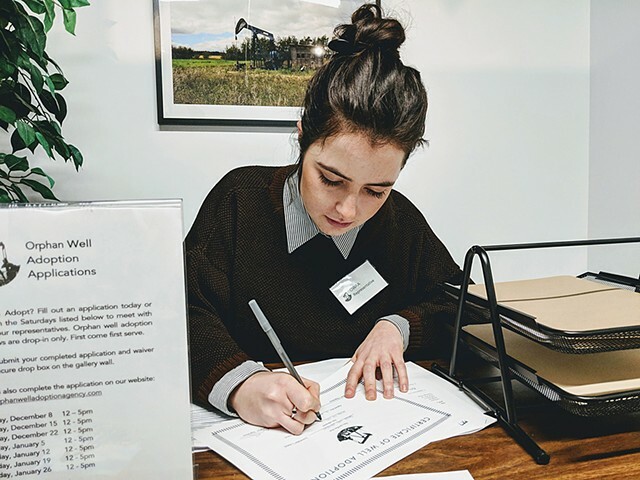 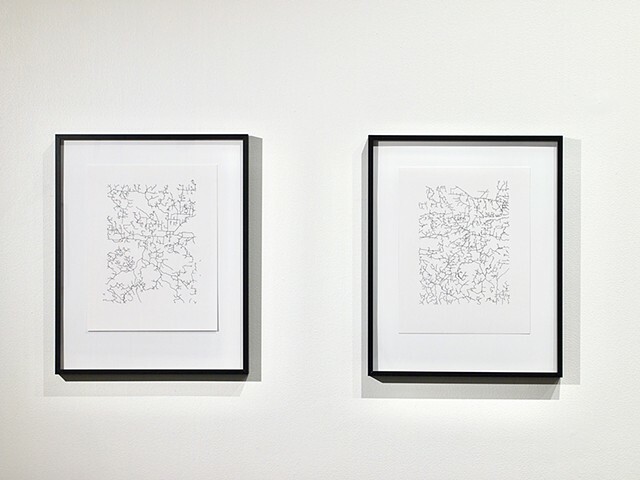 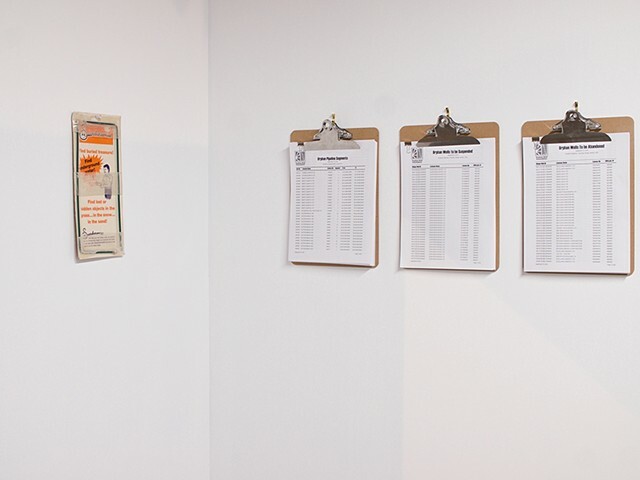 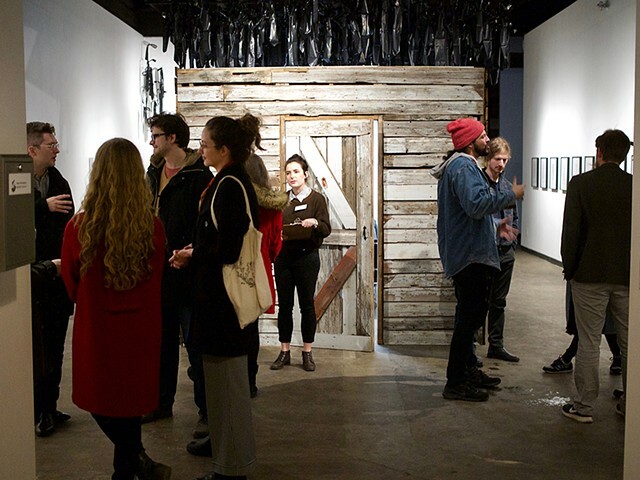 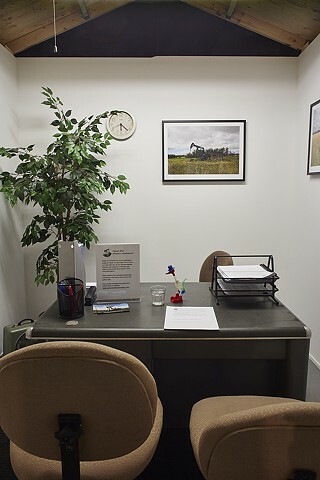 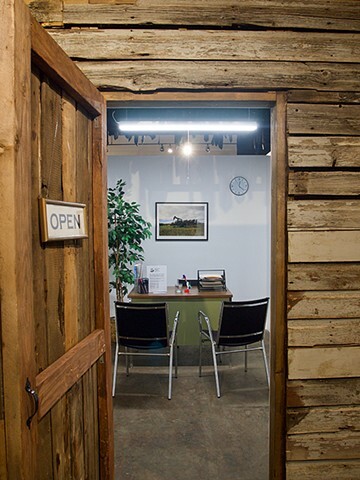 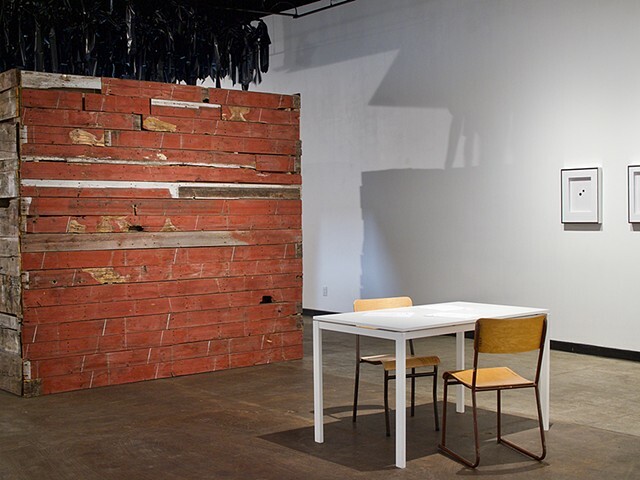 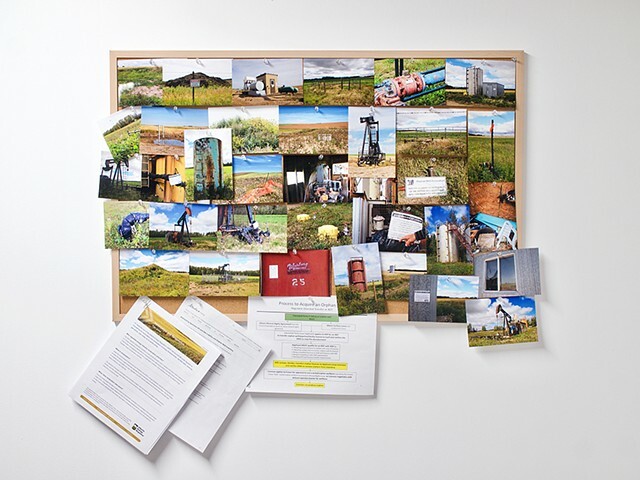 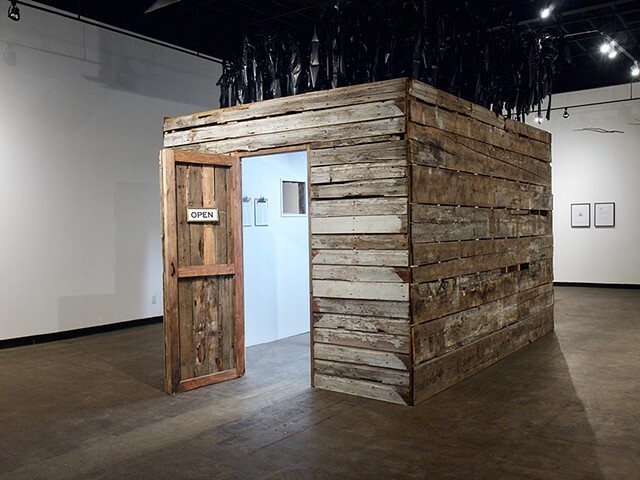 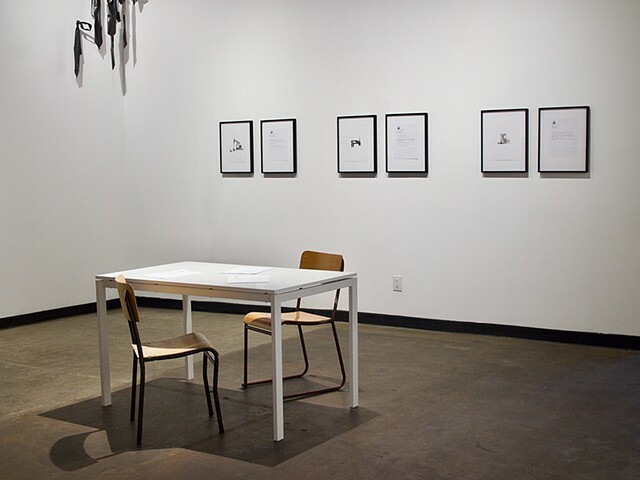 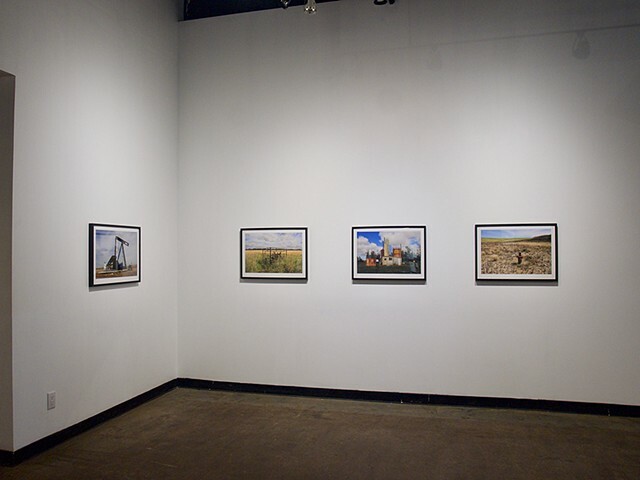 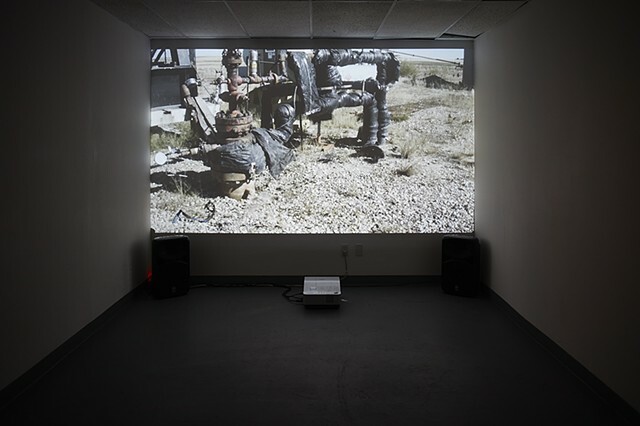 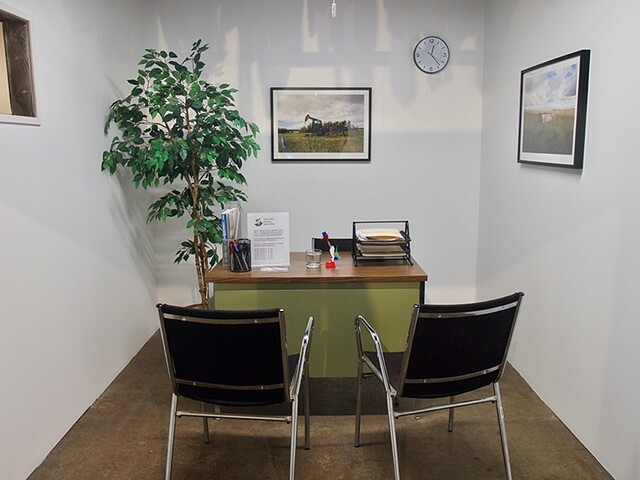 Orphan Well Adoption Agency had temporary offices at TRUCK Contemporary Art in Calgary, AB (2017) and Latitude 53 in Edmonton, AB (2018-2019). 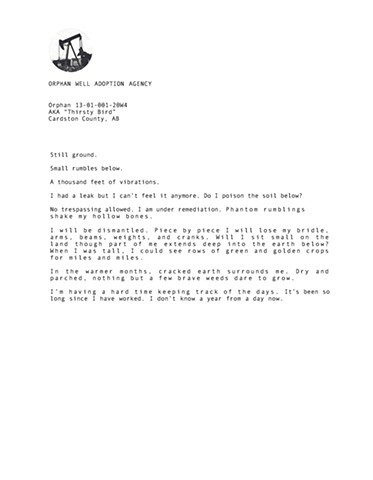 Members of the public were invited to meet with an OWAA representative every Saturday and apply to adopt a well. 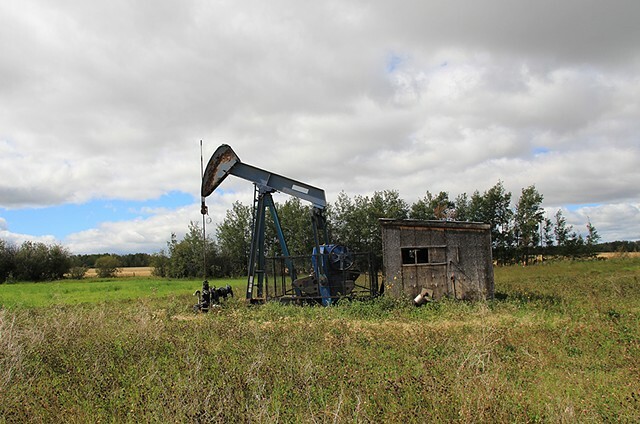 If approved, caretakers received a certificate of adoption with the name and location of an orphan well in Alberta. 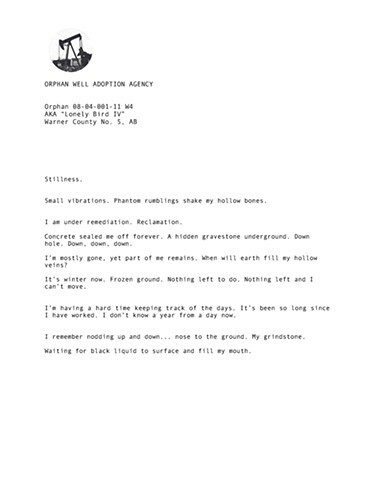 They also received a postcard of an orphan well and had the option to receive mailed correspondence from their well. 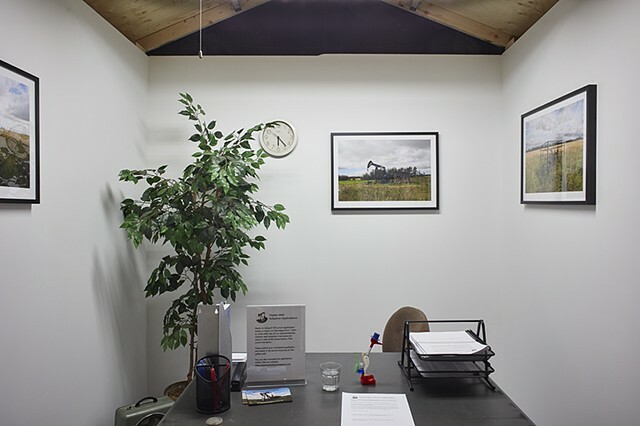 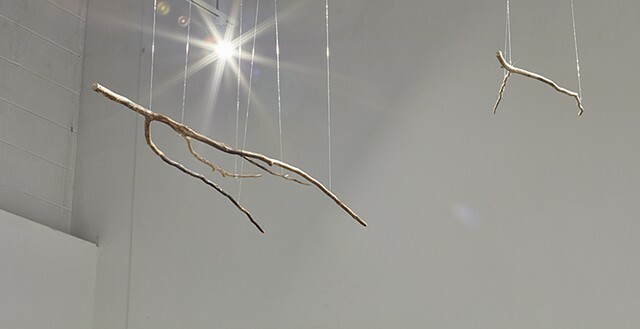 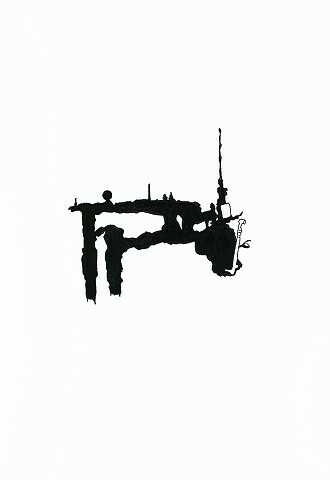 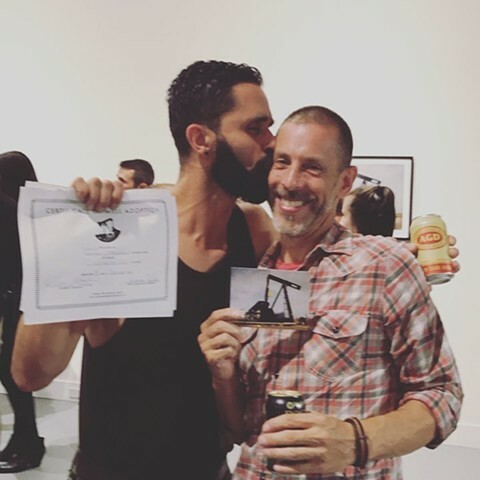 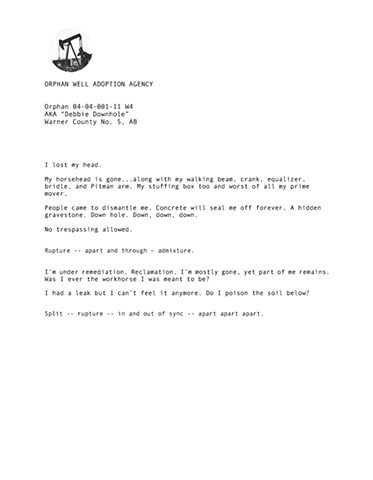 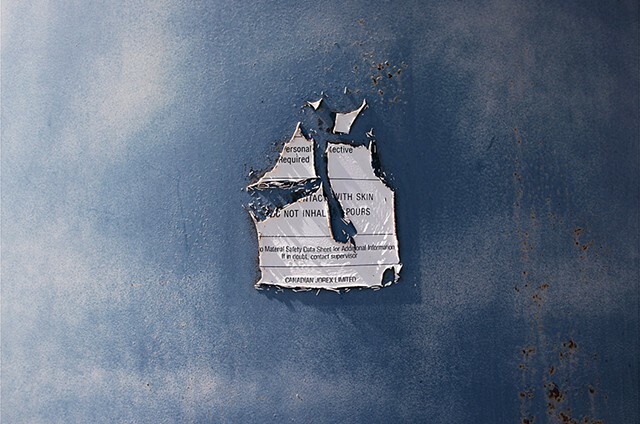 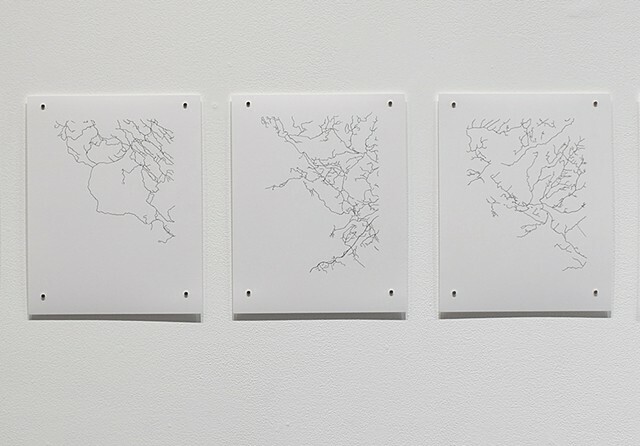 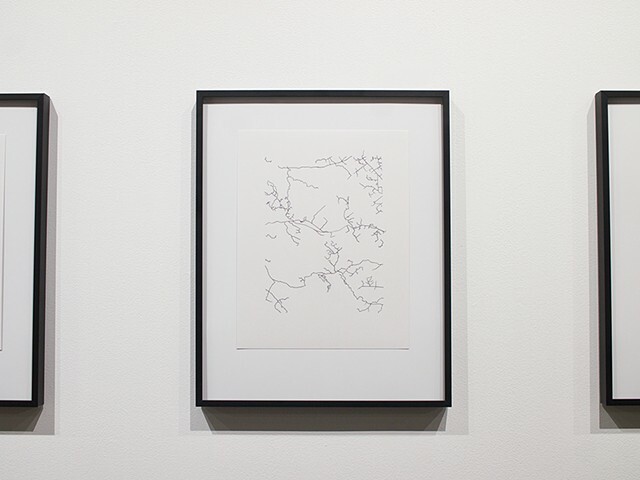 Below you will find orphan well portraits, letters to caretakers (from orphan wells), and images of the OWAA office and exhibitions at TRUCK Contemporary Art and Latitude 53. 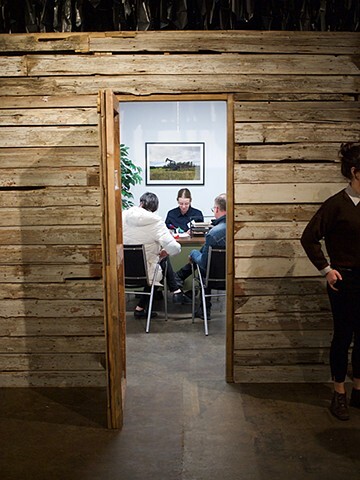 Thank you Canada Council for the Arts and Alberta Foundation for the Arts for their generous support of this work. 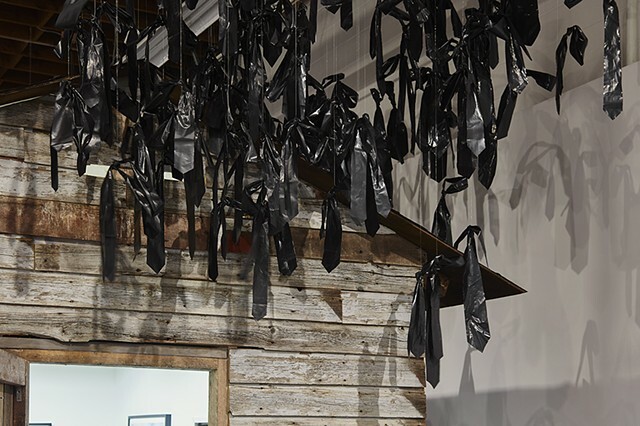 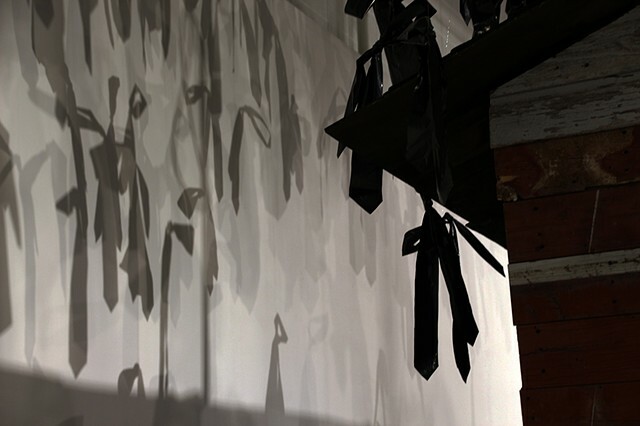 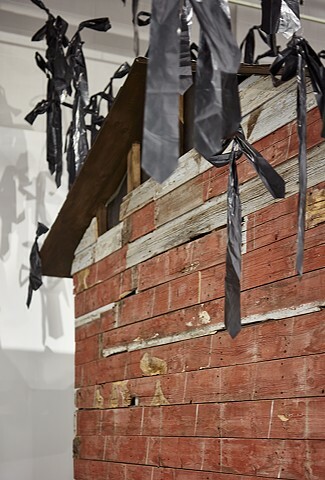 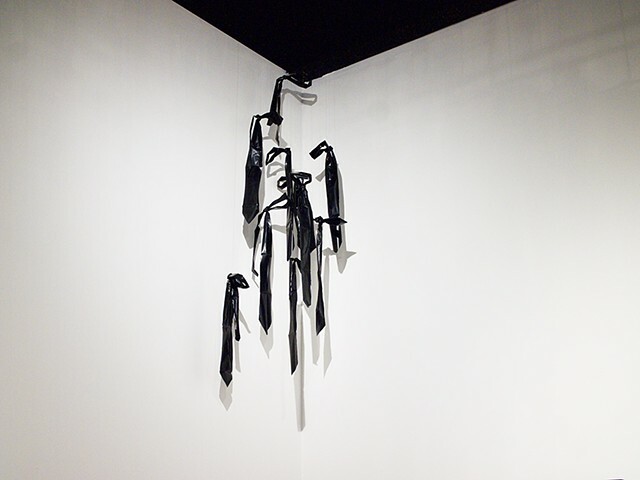 Hundreds of neckties made from garbage bags loom over the OWAA office. 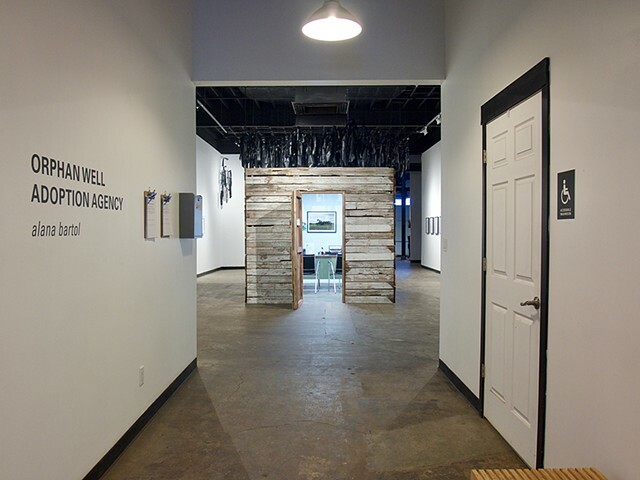 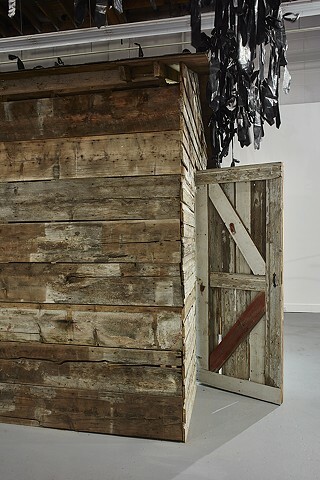 Inside the Orphan Well Adoption Agency (OWAA) offsite office at TRUCK Contemporary Art. 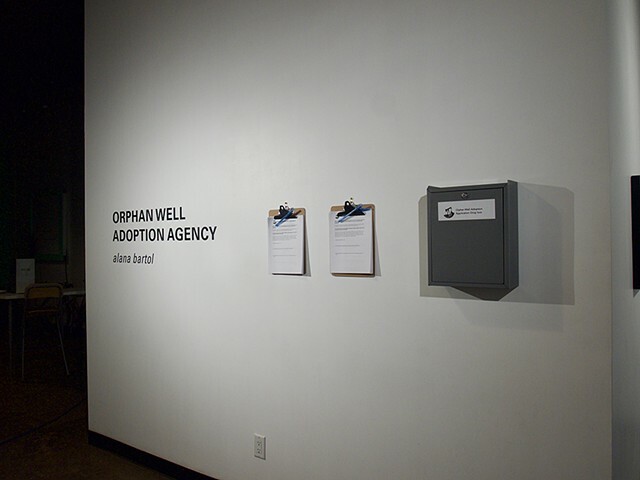 An OWAA representative is available to meet with the public every Saturday throughout the exhibition to facilitate orphan well adoptions.